Gerber Legendary Blades has been forging a lot of multitools and commercial-grade knives for almost 8 decades. 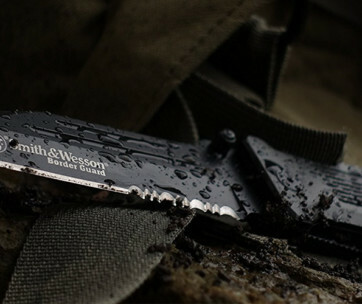 While the company’s relationship with the US military only started in 1966, it has become one of the most respected brands when it comes to survival knives. The Gerber StrongArm Fixed Blade Knife follows in the tradition of expert craftsmanship and simple yet superbly elegant design that the Gerber family of survival and combat tools are known for. 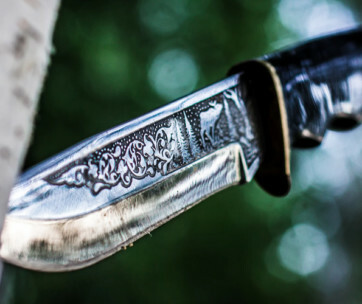 Here’s a closer look at what this fine edged, fixed blade system has to offer. 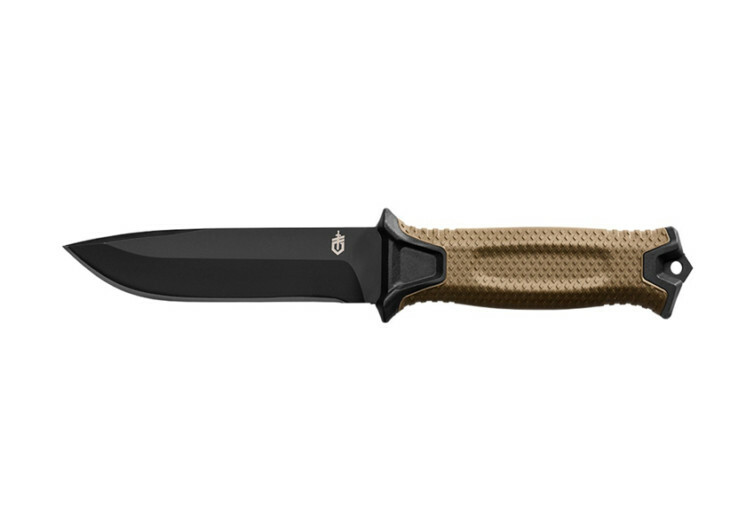 The Gerber StrongArm Fixed Blade Knife is a fitting tribute to the combat and survival knives that members of the US military have been using since the Vietnam War. It is designed and built specifically to deliver the kind of result that only battle-hardened veterans can truly speak of. While the StrongArm is richly grounded in the past, it is not afraid to look well into the future by making sure it is fully capable of innovating and continuously improving its already-formidable specs. 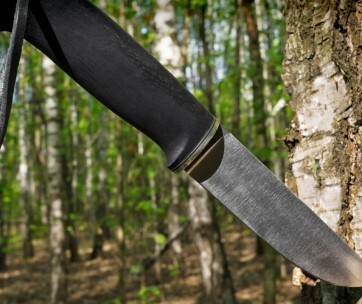 There’s a reason why members of the military prefer a fixed blade over a folding one. While a folding knife can be excellent for concealment, nothing can match the raw efficiency of a fixed blade especially when talking about the StrongArm’s full tang, 4.8-inch 420 high-carbon stainless steel blade that has been coated in black ceramic to give it an exceptional balance, structural rigidity, and overall performance. The StrongArm, it should be noted, is built around the fundamental principles of rigorous military survival training so you can bet it’s built to stand any test. The 5-inch handle may be exceptionally long, especially when compared to pocket knives. But the 5-incher actually fits perfectly on the hand, affording solid grip that the StrongArm naturally feels like an extension of your arm, and a mighty one at that. The diamond-textured rubberized overmold helps plant the StrongArm into your palms and wrapped by your fingers, giving you a very unique sensation. At the base of the handle is a striking pommel, perfect for breaking through glass and other breakable surfaces for those life-and-death emergency situations. 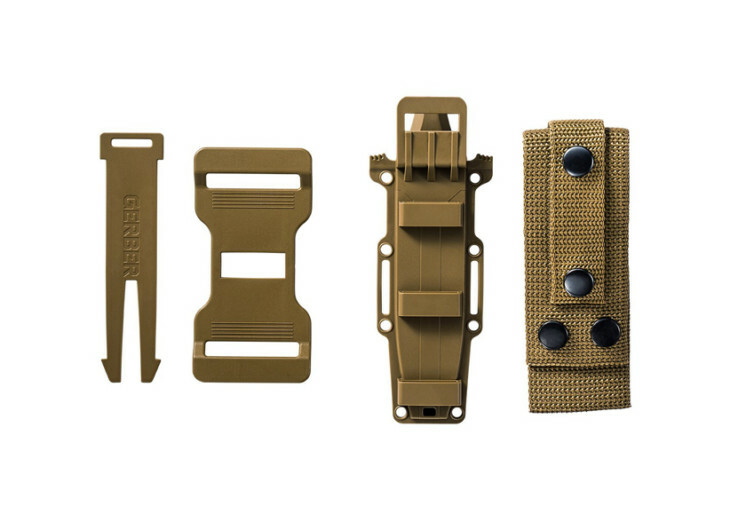 The StrongArm comes with a highly modular sheath system that allows you to mount the Gerber StrongArm in a variety of positions. 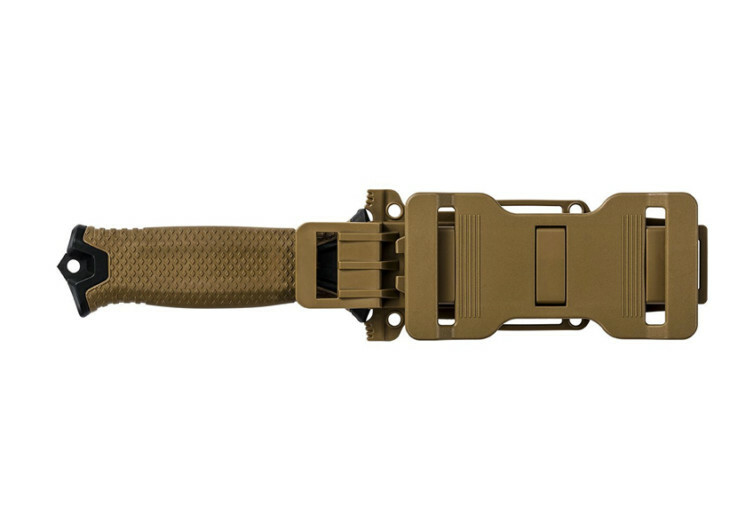 Mount it horizontally on your tactical belt or even vertically on the accompanying snap-in MOLLE strap. Otherwise, you can simply have it on the more traditional drop-leg belt. 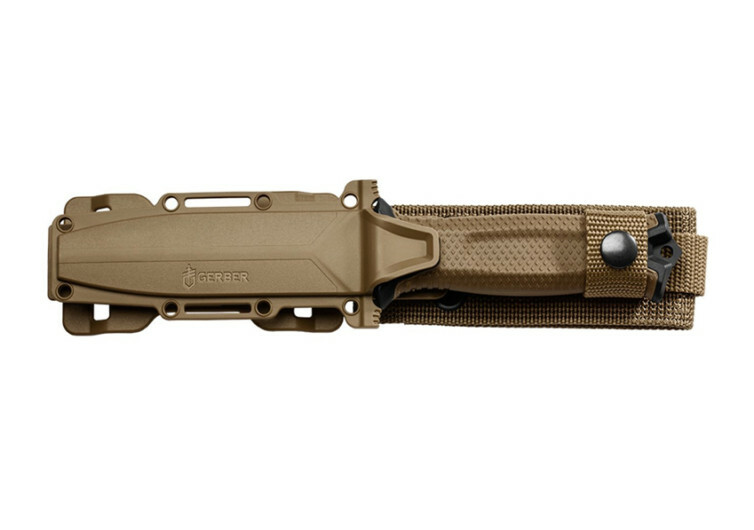 The Gerber StrongArm Fixed Blade Knife captures the very essence of military survival training. While you may not be in the military service, you can always rely on the StrongArm to deliver the kind of action that you need in almost every conceivable situation.